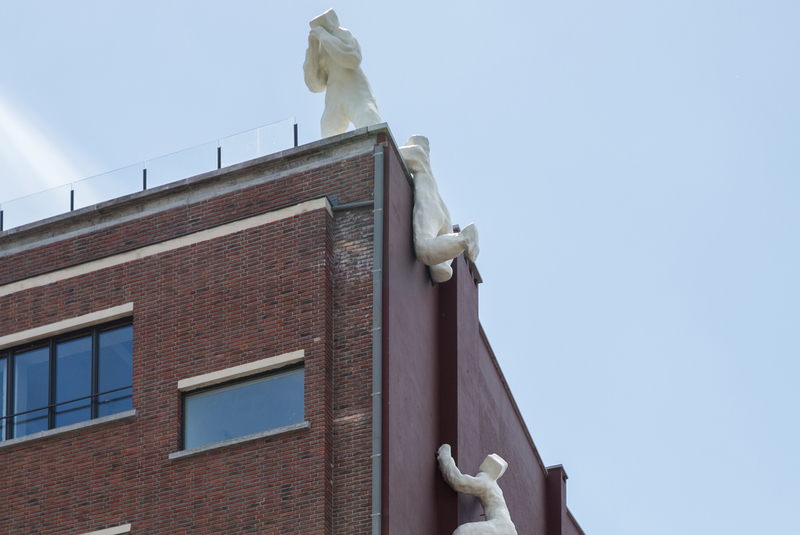 'The Antwerp Whisperer' is a monumental combination of 5 larger than life sculptures that are mounted on the roof and against the facade of a renovated warehouse at Godefriduskaai and Willemdok next to the MAS. The Whisperer - the sculpture erected on the roof of the warehouse - whispers personal and general messages that are received by the sculpture positioned near the dock. The sculptures are the brainchildren of Belgian Campine artist Daisy Boman, who is well-known in the art world thanks to her universal Bo-men.